Natural bio compatible metals and metalloids (e.g. minerals of titanium group and of silica group) are processed under newest exclusive SCHALI® technology into photosensitizing hetero-crystals QD (quantum dots) SCHALI® characterized for a specifically designed balance of inner and outer energetic bonds. In those hetero-crystals, highly reactive groups with unsaturated bonds – so called sites of local overheating - are formed on broken intermolecular connections (deformed crystalline lattice, disclination, curved fringes etc.). Those active groups are capable of building covalent and ionic bonds to environmental molecules, molecules of other compounds, also of active pharmaceutical ingredients. Titanium dioxide and silicon dioxide hetero-crystals are photoactive agents that may induce contact energy exchange and are capable of triggering generation of active (singlet) oxygen– so they may be successfully applied in scope of photodynamic therapy (PDT) and hyperthermia: hetero-crystals affect selectively those biological targets which are responsible for life support in pathological cells. Lower concentrations of titanium dioxide and silicon dioxide may be successfully used in treatment of metabolic disorders, particularly of incomplete oxidation conditions. High sorption of titanium dioxide and silicon dioxide hetero-crystals enables intensification of therapeutic effect: so they may be effectively used for creation of complicated pharmaceutical complexes and targeted delivery. High bio compatibility, no total toxicity, no local toxicity. High sorption effect, i.e. ability of binding target molecules. High catalytic reactivity, particularly high response to photochemical redox. QD SCHALI® antibacterial and antiviral effect results in deactivating unsaturated chemical bonds in peptides, glycosides etc. SCHALI®-T/0.6 aqueous titanium dioxide suspension is intended to induce cellular metabolism by improving oxidant and antioxidant system functions (additional oxidation of carbohydrates and lipids, synthesis of microcirculation stimulants etc.). In gaps of crystalline lattice, QD SCHALI® active titanium dioxide hetero-crystals are capable of forming bonds to another active chemical compounds. This sorption effect enables targeted delivery of biologically beneficial agents to affected cells (cells in reproduction, apoptosis, peak of functional activity), resulting in better cellular regeneration and immune response. Decision on using SCHALI®-T/0.6 aqueous titanium dioxide suspension in injections for interstitial stimulation of regeneration, the way of administration and dosage is to be taken by your healthcare specialist with regard to individual condition. SCHALI®-T/0.6 aqueous titanium dioxide suspension may be used locally as one of steps in complex antiaging treatment together with laser light exposure techniques. 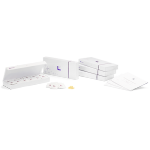 SCHALI®-T/0.6 aqueous titanium dioxide suspension demonstrates high potential in scope of adjuvant cancer therapy as a supplementation before and after main anticancer treatment that may reduce risk of relapse. If used for intramuscular injections, SCHALI®-T/0.6 may intensify effect of common anticancer drugs in scope of chemo-, radio-, hormonal, targeted, bio- and photodynamic therapies. Sorption of bioactive compounds (if used together with anticancer drugs and chemotherapeutic agents). Targeted delivery of pharmaceutical molecules into cancer cells. Blocking RNA counter effect and intensifying anticancer action synergistically. Neutralizing toxic effect of chemotherapeutic agents. Decision on using SCHALI®-T/0.6 aqueous titanium dioxide suspension for intramuscular injections in scope of effective adjuvant anticancer therapy is to be taken by your oncologist with regard to clinical and laboratory tests results, personal experience and clinical condition. 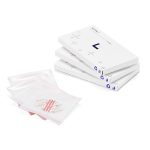 SCHALI®-T/0.6 may be used for intramuscular injections (one to ten injections a week) in combination with other pharmaceuticals as a part of complex therapy. SCHALI®-T/0.6 aqueous titanium dioxide suspension may be used locally as a photosensitizing agent in scope of photodynamic therapy or as an anticancer compound vehicle in scope of breast cancer therapy. Active oxygen selectively affects pathological cells as they have no active antioxidant ferments. Exposed to laser light irradiation, pathological cells undergo fibrotic processes and both blood and lymphatic flows are plugged that results in a natural mechanic barrier that clips off tumoral nutrition. Significantly lower metabolism and growth in cancer cells. Tumour turns to metabolically stable condition. For intratumoral injection and further photodynamic therapy of breast cancer, your oncologist will select both suitable way of administration and dosage of SCHALI®-T/0.6 aqueous titanium dioxide nanosuspension with regard to individual condition, tumoral volume etc. (50 ml to 100 ml and more). At that, one third of injectable nanosuspension is administrated into lymph nodes that drain lymph from tumoral site (quadrant). SCHALI®-T/0.6 aqueous titanium dioxide suspension may be used locally as a photosensitizing agent in scope of photodynamic therapy or as an anticancer compound vehicle in scope of prostate cancer therapy. Inducing natural mechanisms of cellular regeneration. Targeted selective damage in problem cells (cancer and pathogenic cells): multiple cytomorphological damages (cytoplasmic vacuoles, membrane fragments, impaired mitosis). Apoptosis or necrosis in pathogenic cells (as pathogenic cells have no effective antioxidant ferments). Decision on using SCHALI®-T/0.6 aqueous titanium dioxide nanosuspension for intratumoral injections in scope of photodynamic therapy of prostate cancer, the way of administration and dosage is to be taken by your oncologist with regard to individual condition and tumoral volume (50 ml and more). SCHALI®-T/0.6 aqueous titanium dioxide nanosuspension may be used as one of steps in complex anticancer treatment for local therapy of focal malignant growths (together with laser light exposure) and as injections for photodynamic therapy of metastasis (also of lymph nodes, heavily accessible nodes in scope of surgery etc.). SCHALI®-T/0.6 aqueous titanium dioxide suspension may be used for instillations into bladder in scope of photodynamic therapy of urinary system disorders. Better oxygenation in bladder walls. Decision on using SCHALI®-T/0.6 aqueous titanium dioxide suspension for intravesical instillations in scope of photodynamic therapy of urinary system disorders, the way of administration and dosage is to be taken by your urologist with regard to individual condition and disorder specificity (50 ml and more, 1-2 times a week, in a course of 4 to 8 instillations). Instillation is to be done with urinary catheter. Antidiabetic action of SCHALI®-S/0.6 aqueous silicon dioxide nanosuspension is aimed to recovery of natural silicon balance (silicon is the second after oxygen most important element in human body). Silicon is a general structural element that may reduce blood cholesterol, fatty acids and glucose in diabetes conditions. Restoring blood supply and microcirculation in tissues of vegetative nervous system. Restoring condition of humoral substances, especially of those produced by flattened cells in vessels: endothelium. Maintaining normal lipid and carbohydrate metabolism. Lowering need of glucose reducing agents. Decision on using SCHALI®-S/0.6 aqueous silicon dioxide suspension for intramuscular injections in scope of complex antidiabetic therapy is to be taken by your endocrinologist with regard to clinical and laboratory tests results, personal experience and clinical condition. SCHALI®-S/0.6 aqueous silicon dioxide nanosuspension may be injected every second day, once in three days or in five days. Number of injections and duration of breaks between injections will be determined by your endocrinologist (15 injections in one course). SCHALI®-S/0.6 aqueous silicon dioxide suspension shows high potential in supplementation to complex therapy of atherosclerosis that may help in restoring broken fat metabolism, particularly in production and transformation of lipid compounds, lowering in this way number of poorly oxidised products. Optimising structure in biopolymers etc. Decision on using SCHALI®-S/0.6 aqueous silicon dioxide suspension for intramuscular injections in scope of complex therapy of low microcirculation associated conditions, carbohydrate and lipid metabolism disorders (atherosclerosis) is to be taken by your endocrinologist with regard to clinical and laboratory tests results, personal experience and clinical condition. SCHALI®-S/0.6 aqueous silicon dioxide nanosuspension may be injected every day during 6 days in a 6 to 8 weeks course. The chemical modification of these natural cyclodextrins can lead to highly water-soluble cyclodextrin derivatives that can be used for making different formulations. They can be used for making aqueous liquid formulations (eye drops, injections, infusions etc.) with poorly soluble drugs (eye drops, injections, infusions etc.) without co-solvents or detergents. There are more than 50 different liquid pharmaceutical products currently on the market based on these two cyclodextrin derivatives. This effect is particularly occurring for consumption of gamma-CD and alpha-CD, which are known to provide advantageous effects on oral uses such. These CDs can decrease postprandial hyperglycemia, reduce blood glucose levels by positively affecting polysaccharide metabolism in vivo. This is why these cyclodextrins are termed also as „dietary fibers”. As CDs are efficient lipid complexing agents, their continuous consumption may result in balanced lipid status and reduced serum cholesterol levels, leading to amelioration of atherosclerotic events. As an example, SCHALI®-D dietary supplements – a new approach of healthy nutrition for modern humans – contain dietary fibres of Alpha-cyclodextrin (α-CD) and Gamma-cyclodextrin (γ-CD), which depending on the indicative purpose encapsulate molecules of nutrients, microelements, and vitamins: curcumin, cinnamon, resveratrol, coenzyme Q10 etc. 2-Hydroxypropyl-beta-cyclodextrin is a chemically modified beta-cyclodextrin with excellent water solubility and lipid solubilization and complexation power. This cyclodextrin derivative has a very good safety profile both upon oral and parenteral administrations. As a drug solubilizing excipient, it has been used in human drug products for over two decades. Few years ago, HPBCD has been assigned as an Orphan Drug by both US-FDA and EMA regulatory agents for the treatment of Nieman-Pick Type C, rare disease. In our topical hydrogel products, HPBCD as an active ingredient is primarily utilized as a safe and efficient cell membrane lipids modifying agent. Since this cyclodextrin reversibly modifies and restores cell membrane lipid raft packings and lipid environment of membrane anchored glycoproteins, it disturbs and prevents viral infections against recipient cells. Membrane cholesterol plays an important role in replication of HIV-1 and other retroviruses. It was found that for instance the gammaretrovirus XMRV requires cholesterol and lipid rafts for infection and replication. Tyng et al (see literature reference above) demonstrated that treatment of XMRV with a low concentration 2- hydroxypropyl-beta-cyclodextrin partially depleted virion- associated cholesterol, which then resulted in complete inactivation of the virus. Therefore , the topical HPBCD containing hydrogels, can be considered and recommended as novel action efficient and zero side effect antiviral compositions. 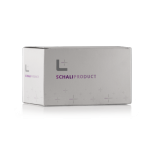 Feminine and Masculine Line of SCHALI® Care Personal Hygiene Products, where HPBCD is one of key active ingredients, is intended for antimicrobial and antitoxic protection, inducing mucosal regeneration, significantly improving cellular metabolism and promoting hormonal balance. SCHALI® Care products may be successfully used in prevention and treatment of numerous health conditions, supporting action of common therapeutic drugs and accelerating time of treatment. Sulfobutylether-beta-cyclodextrin-Na salt (Dexolve™) is a multicomponent, isomeric mixture with very high water solubility and efficient complex forming potency. This cyclodextrin derivative is a safe, non-toxic parenteral drug solubilizing excipient, which is already approved in use of a number of injectable human pharmaceutical products.